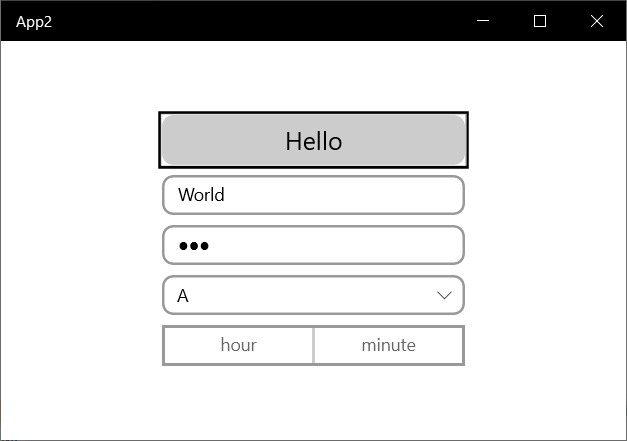 I have created a small demo page in which I placed a few input controls in a StackPanel. For all controls I have set the CornerRadius to 8.
this results in the following output. 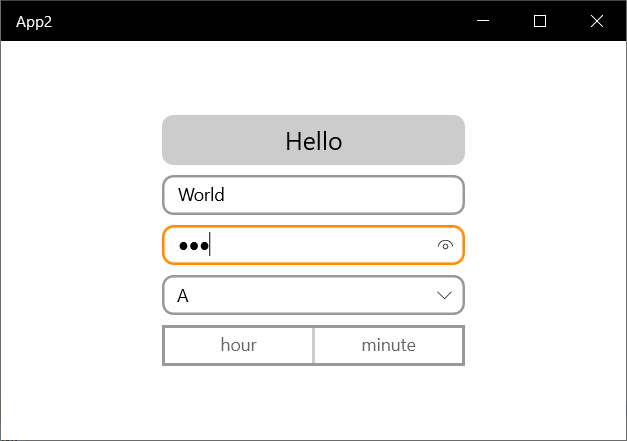 The Button, TextBox, PasswordBox and ComboBox have rounded corners. Unfortunately the TimePicker does not. I hope it will be fixed before it released. The focus rectangle of a Button is also still rectangular. I expect that will stay like this. The CornerRadius is a nice new feature. I will maybe use it a one of my games. Probably not in a LOB app.